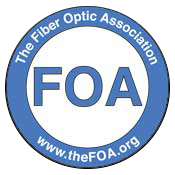 Posted February 27th, 2017 by Connected Fiber & filed under Fiber Optic News. Could The Arctic Become a Pillar of Broadband Connectivity? Posted February 8th, 2017 by Connected Fiber & filed under Broadband Internet. Posted June 2nd, 2014 by Connected Fiber & filed under Fiber Optic Testing.